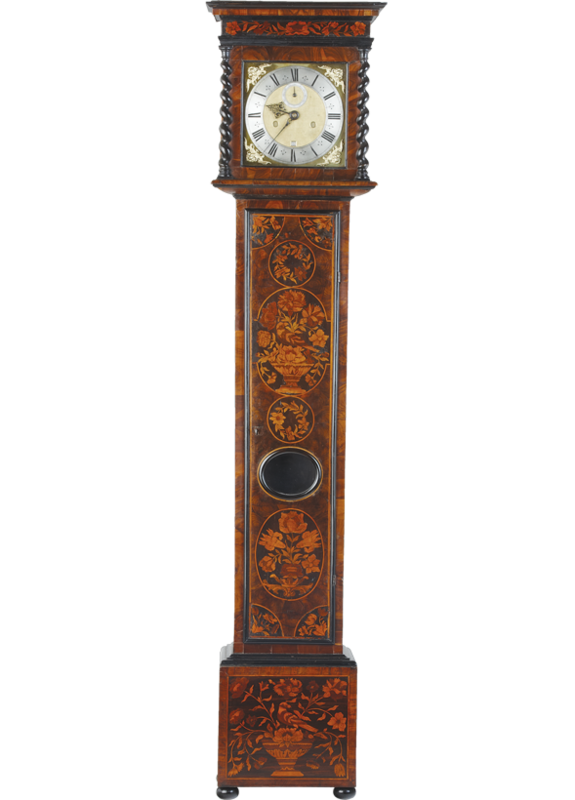 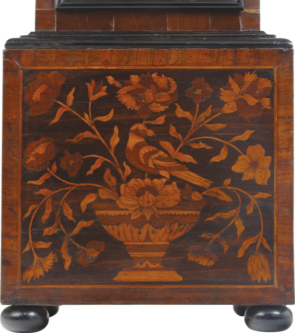 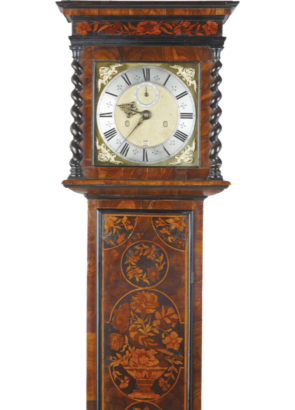 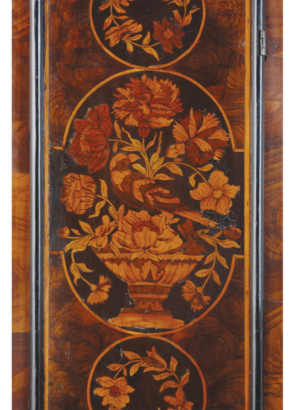 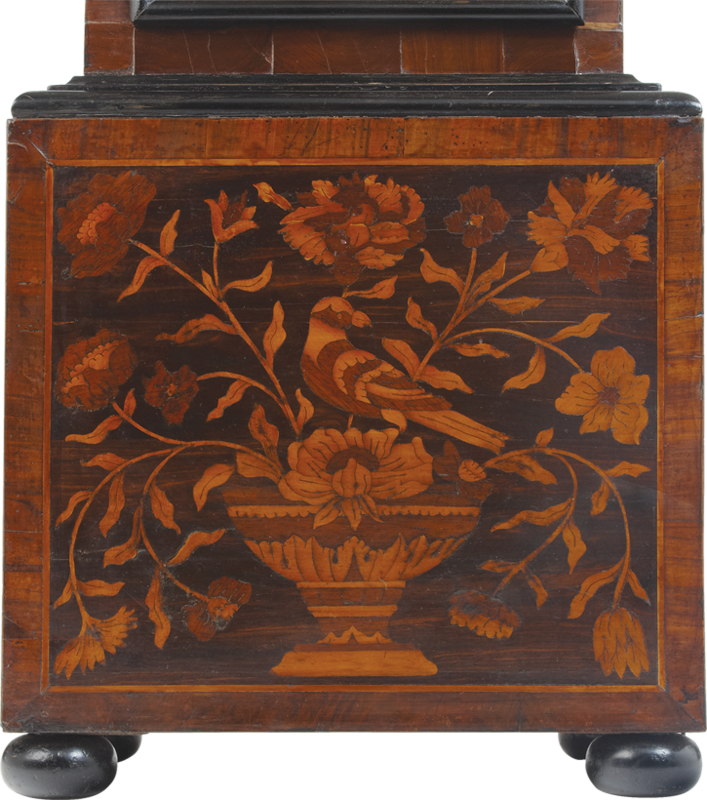 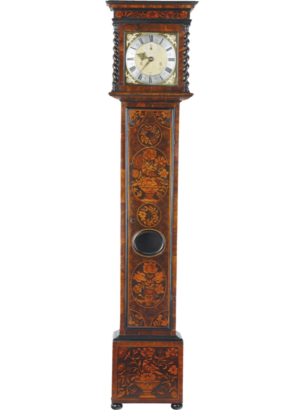 A fine 17th century Charles II olivewood and panelled floral marquetry longcase clock by this eminent maker. 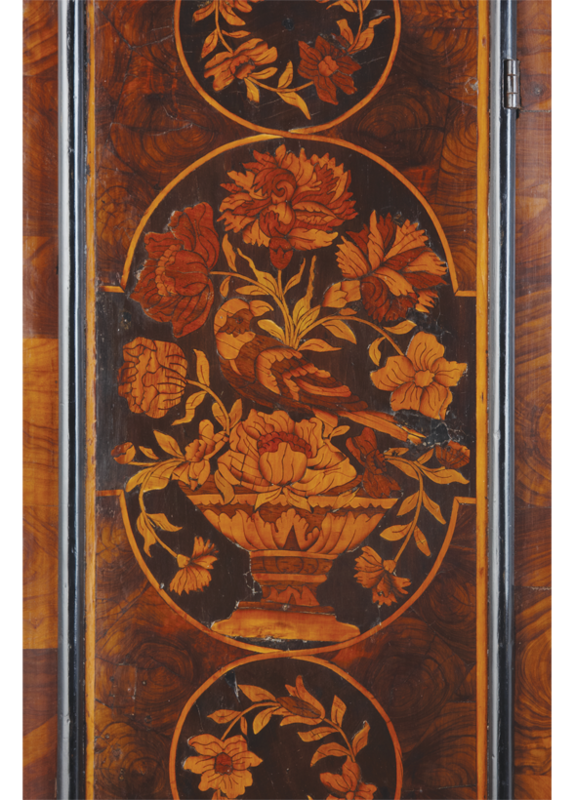 The former rising hood with a marquetry fret and twist columns, the door inlaid with olivewood oysters between the marquetry panels, the marquetry base standing on bun feet. 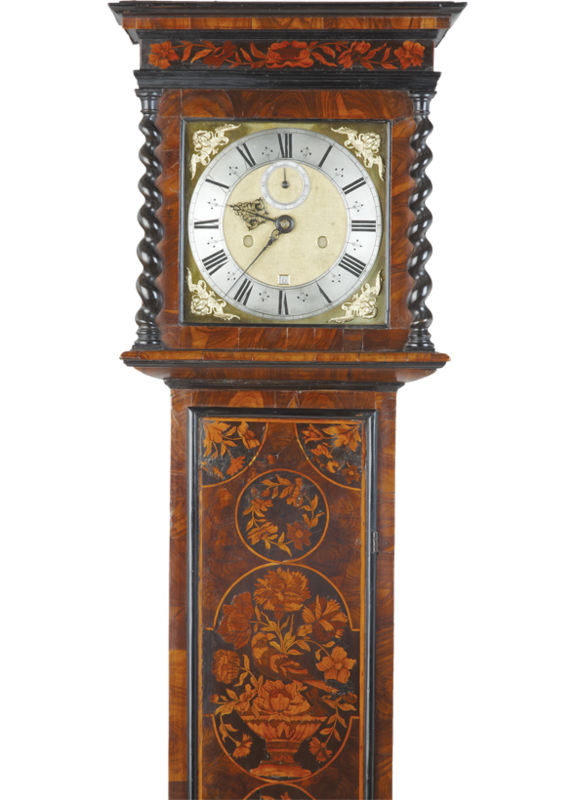 The 8 day movement with a ten inch dial winged cheub head spandrels and fine hands, the silvered chapter ring signed, Watson, London.